Why I decided to get my first Car? Last week, I really can’t explain the happiness and fulfillment I felt when I got my first ever car. I know a lot of us has been dreaming of having one since we were kids. I was really hesitant at first to pursue this very big investment but at the back of my mind I’ve been thinking, if not now, when? I want to help my brother and sister(both in their preparatory courses at the moment) reach their dream of becoming doctors someday and help my parents on the expenses. The moment I will get married(where we agreed when we reach 30 years old) and have kids, I will no longer have the luxury to buy one especially for an employee with an average salary like me. Money will be more prioritized on my future kids education. ???? I’m still 23 years old and I want to live my life to the fullest. If I do it now, I will have enough time to pay for the car and proceed on the future plans mentioned above. ???? I’m not a car enthusiast so I asked opinions from friends, colleagues and also did some research and comparison on several entry level cars with fair price and monthly amortization. All I wanted is a car which is very fuel efficient, spacious, has good interior and features, good for long distance and city driving and of course perfect for drifting(kidding ????). I had some hard time deciding between Mitsubishi Mirage 1.2 GLS and Toyota Wigo 1.0 G. Both of them are the highend variants for both manufacturers. Mirage overpowers Wigo in terms of power and performance, however considering other factors and the price, I ended up choosing Wigo. I still want to travel a lot of places so I don’t want to spend to much budget for the monthly payment. You can view the full specs comparison here. 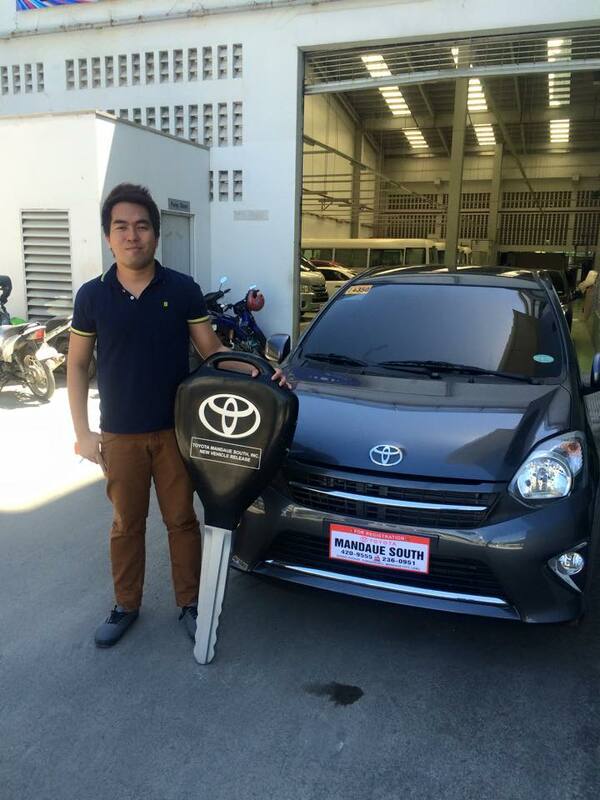 I was lucky enough to avail it on their downpayment promo of 23,390 which was supposedly 82,650(15% of the price). Sweet deal! That extra 59,260 you saved can now be used as your advance monthly amortization which is almost equivalent to 6 months. Thanks to Miss Siogar Ang for making all this possible. If your planning to have one, I highly recommend you to contact her.